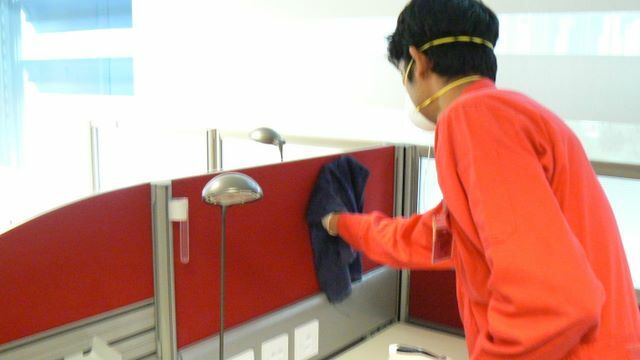 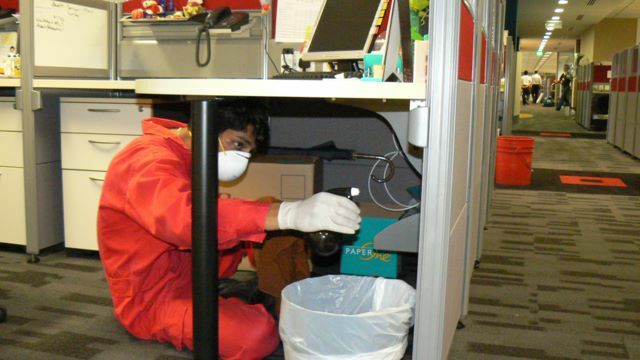 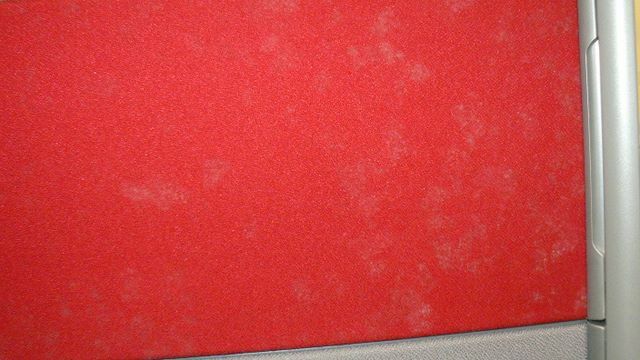 Disaster Restoration Singapore (DRS) was called in to investigate the reasons why mold infestations had occurred on a newly installed work station system. 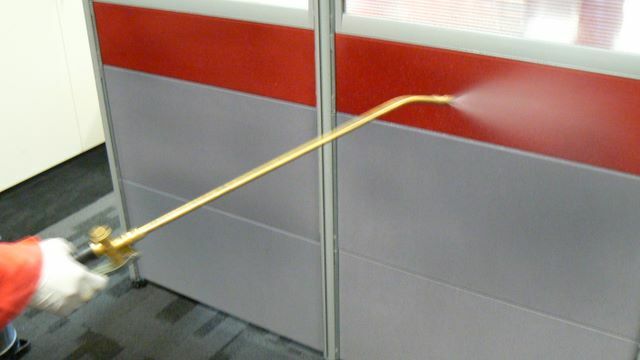 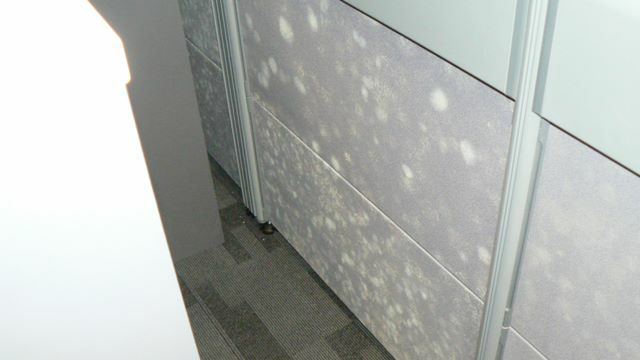 Negative HEPA Air scrubbers were deployed in the affected office space to ensure that microbial spores were flushed out during the remediation. 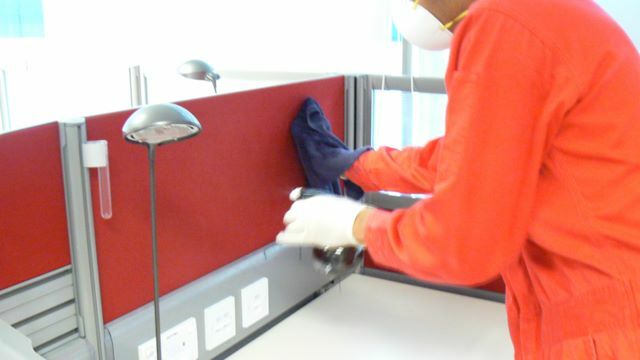 Particulate counters were used throughout the process to detect and monitor mold spore levels and keep them to a minimum. 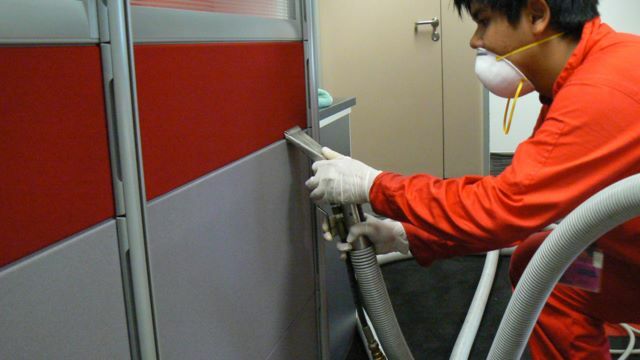 Dehumidifiers were deployed to control the humidity and accelerate the drying process. 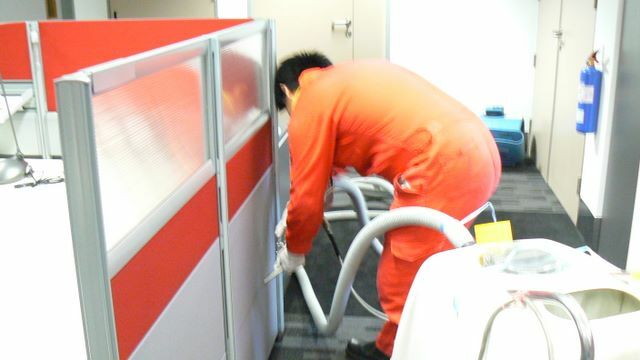 Air scrubbers were also used to capture and flush out all viable and non-viable airborne spores. 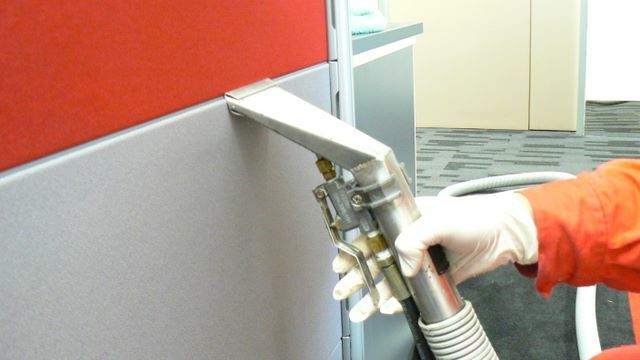 Proper bio-decontamination and remediation protocols were deployed to ensure thorough removal of the fungal spores, followed by treatment with a non-leaching antimicrobial to prevent future mold growth on the treated surfaces. 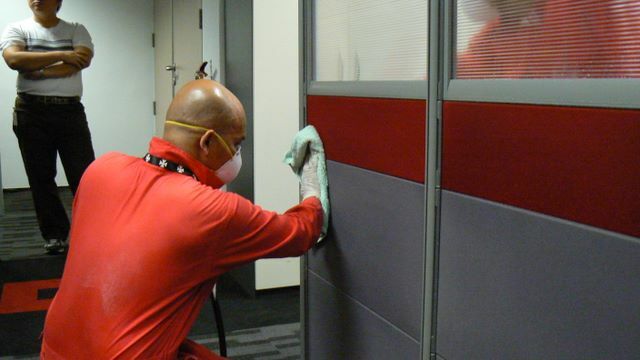 The entire bio-decontamination was done within a day and no visible mold growth has been observed since.